In 2013 the Urban Co-housing Otepoti was formed, and over the past 6 years the group have developed and refined their ideas and requirements into an economically viable, energy efficient co-housing development project. 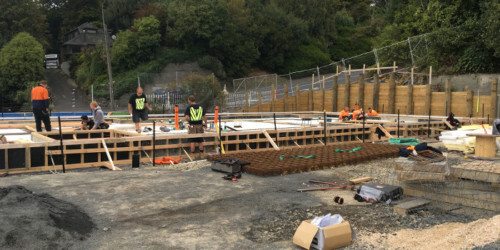 The group purchased a 5,000 sqm site that was the former High Street Primary School and in November 2018, eHaus Otago commenced construction. 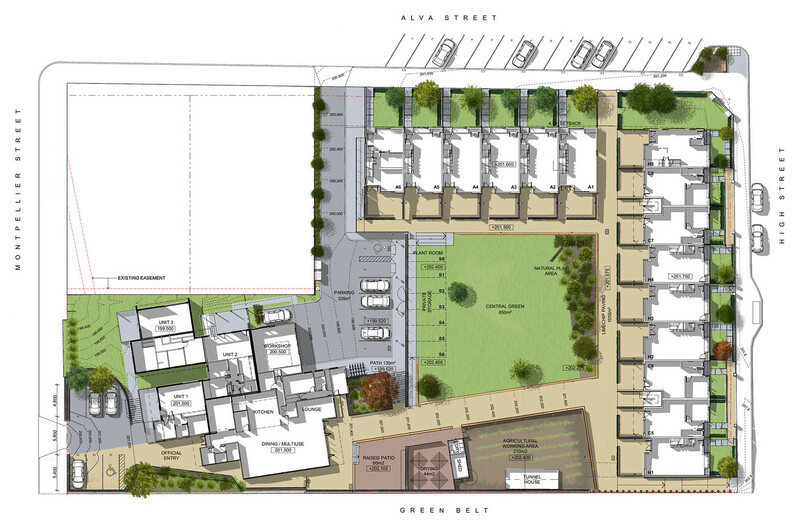 The project will be New Zealand’s second largest co-housing development, with 22 Passive House homes being built. The homes range in size from one bedroom to large 5 bedroom homes, each with its own private outdoor area. 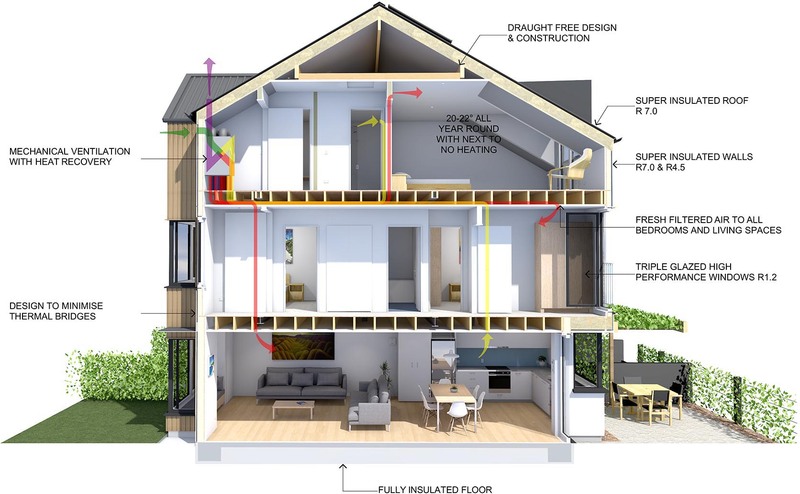 All will be certified as Passive House ‘Classic’ and include triple glazing, thicker wall construction, superior insulation than new conventionally built houses, as well being designed to ensure they meet the Passive House air tightness standard. Combined with a Mechanical Heat Recovery Ventilation system to ensure that fresh filtered air circulates the home, keeping the temperature between 20-22 degrees all year round. 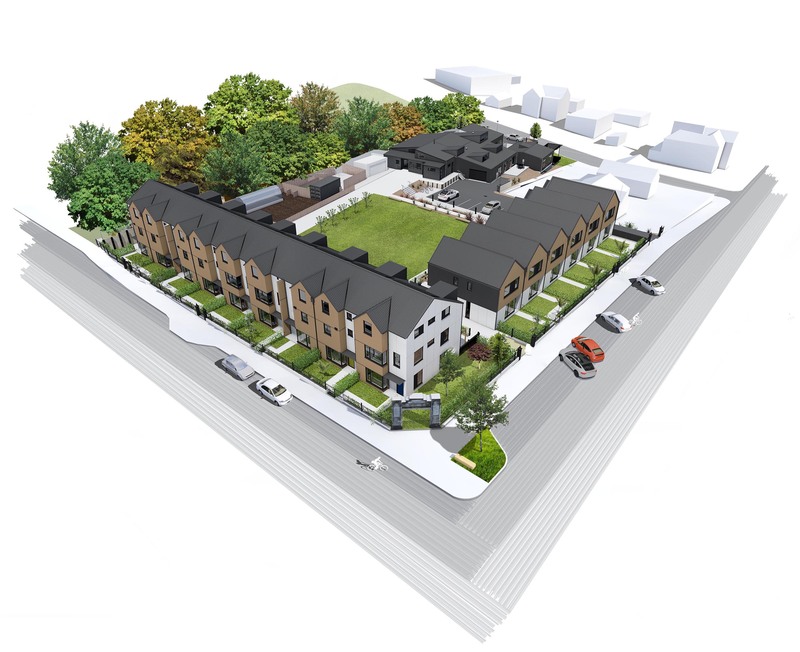 In addition to the 22 Passive Houses, part of the former school buildings is being modified to accommodate a large communal dining area, offices and meeting rooms as well as guest bedrooms and three apartments.